With proven abilities and outstanding performance, we deliver quality, cost effective and customer centric Cloud Solutions for new softwares to be developed and also to the existing on-premise applications as well. We help companies to automate IT infrastructure administration and IT related business processes over cloud to reduce overall cost of ownership. We Quicken your Enterprise Grade Connectivity, Faster Performance and Improved Productivity with our Agile Cloud Services. By collecting all the required information about your existing systems, we create a detailed plan of action for Cloud Migration Readiness & Engagement Planning. PristineSofts prepares your team for the cloud, help you access workloads, prioritize, collect & process data. Our certified experts advice on AWS services and 3rd party tools that are right fit for your applications. Build & implement best practices for your architecture from the beginning. Ensure your architecture to meet official AWS architecture framework. Proof Of Concept is a phase of adoption in which, we build a fully-configured Proof Of Concept Cloud that is ready for your applications with right resources, networks and tools. Then our engineers will help you determine the best AWS or 3rd party tools to migrate your applications and data to the cloud securely. Get best suited & tailored cloud environment for your application without extending / hiring new team. PristineSofts certified experts will advise your team on various available methods of cloud migration practices. It has many forms, from carefully re-architecturing applications to take benefit of the next-gen platforms to using an automated tool to copy servers in bulk. We would deploy a strategy to optimise efforts and costs based on desired business goal. Does your cloud infrastructure meet industry best practices in terms of security, cost, availability and performance ? Let our Certified Engineers assess and remediate your cloud infrastructure to ensure that it is efficient, secure, and up to date with the recommended cloud tools and practices. Assess your cloud against a proven best practice standard, the AWS Well-Architected Framework. 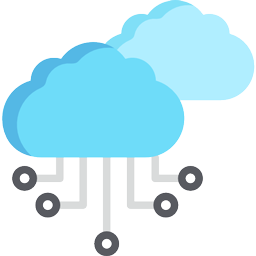 Let us Improve the cost, security, and performance efficiency of your cloud. We help you Save an average of 30% on your monthly budget from your cloud infrastructure. Our expert engineers take a deep-dive into your cloud billing history designed to uncover savings and improve Return-on-Investment. Remove unused instances right-sizing & reduce wastage.